Are you still thinking about whether to come to the National Festival in April? If you haven’t booked yet, we recommend that you do so as soon as possible, because this year’s festival is proving to be extremely popular, with fewer than thirty places currently remaining for the full weekend. Additionally, tickets for the Red Priest concert are also almost sold out: remember that this Friday concert is not included in the general festival admission, so if you’re planning to come, do check that you added the concert to your festival booking. Due to the high demand, this concert will now be exclusively for festival attendees and their guests, and is not being released for sale to the general public. 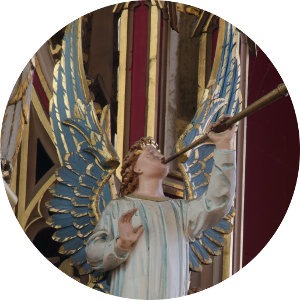 The full playing timetables are almost finalised, and the Durham and Newcastle branches are very much looking forward to welcoming you to Ushaw College for a fantastic weekend of recorder-playing. I believe there are still a few places left. You can book through the website, or download a booking form, via the festival page: https://www.srp.org.uk/national-festival/. Or email the booking enquiries address: festival2019booking srp org uk. I’m interested to know whether you have places left on your Durham SRP Festival. I have played and taught the clarinet for many years and have taken up the recorder again now in later life. I play in Moria Usher’s EROS & SRP groups in Suffolk. I am wondering whether you may have room as well for a friend who also taught in London.